The Sketch Artist should be well conversant with art,design and concept of making Pencil Sketches. 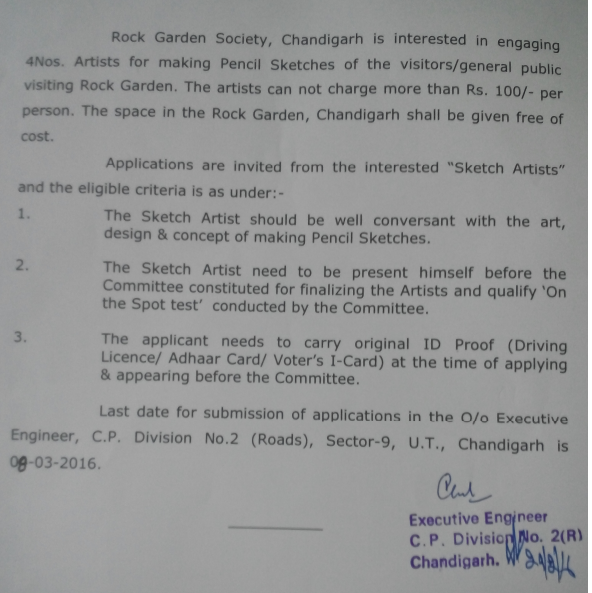 The Sketch Artist need to be present himself before the Committee constituted for finalizing the Artists and qualify On the Spot Test conducted by the Committee. The applicant needs to carry original ID proof (Driving Licence/Adhar Card/Voter Identity card) at the time of applying & appearing before the Committee. Last date-The last date of application is 08.03.2016.